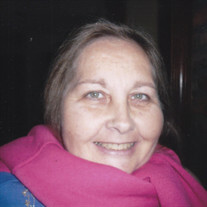 Dorothy "Thea" Chapman Wick passed away suddenly on Thursday, April 27, 2017 at the age of 58. Dorothy was the daughter of the late Dorothy Tremaine Hildt and Kenneth B. Wick, and grew up with her late younger brother Kenneth "Bryant" Wick, Jr. in Gates Mills, OH. She attended Hathaway Brown School followed by Purnell School in New Jersey. In her youth, Dorothy spent summers in Harbor Springs, MI and winters skiing in Aspen, CO with her mother and brother. Dorothy is survived by her three loving boys, Wyndsor W. DePetro (Marilyn) of Brookline, MA, Palmer A. DePetro (Diana) of Chagrin Falls, OH, and Cleighton T. DePetro of Chicago, IL. She enjoyed traveling and was a devout the Catholic, and often combined those passions with trips to Europe to sing with the St. Joan of Arc choir. Dorothy spent many years volunteering for St. Joan of Arc and made many caring friends within the community. Dorothy was a kid at heart and enjoyed games and being playful. She spent time needlepointing, reading, and reminiscing about her childhood. She loved telling stories about the mischief she hand her brother Bryant had gotten into as children. In addition to her children, she is survived by her grandchildren Sydney, Reagan, Addison, and Jackson, sister in law of Emily Wick, nephew Kenneth "Grady" Wick and Sumner "Chappie" Wick, and many loving cousins and step siblings. In lieu of flowers, the family requests that those who wish may make contributions in her name to St. Joan of Arc, 496 E. Washington St., Chagrin Falls, OH 44022 where a Funeral Mass will be held Wednesday, May 3 at 11:00am. Friends may call at St. Joan of Arc on Wednesday, May 3 from 9:00-11:00am.